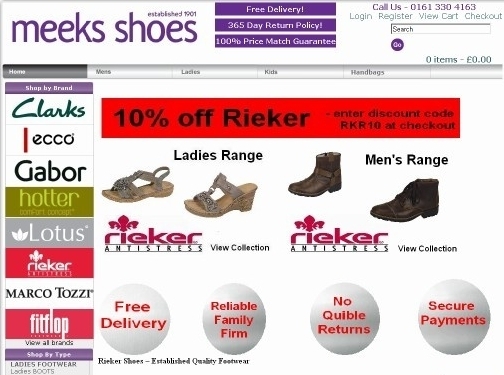 Meeks Shoes stock a fantastic range of shoes in their online boutique. UK (Ashton under Lyne) based company - established in 1901 - providing mens, ladies and childrens shoes for sale. Website includes e-commerce facilities, delivery and returns information, full company contact details.